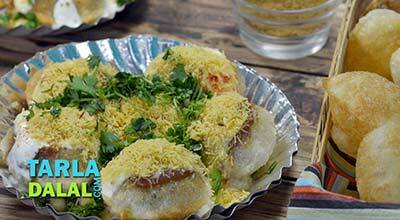 This is the most commonly sold chaat in the streets of Mumbai. 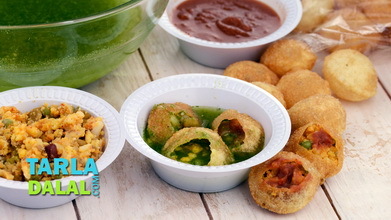 Almost every street has its own friendly bhelwala with his inimitable blends of chutneys and masalas. 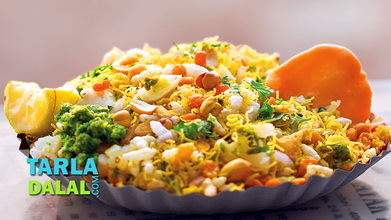 Bhel is a delectable combination of papadis, puffed rice, sev, onions, potatoes, raw mango and chutneys. 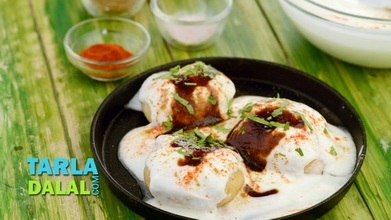 The proportions of the various chutneys can be changed to adjust to your personal preferences. 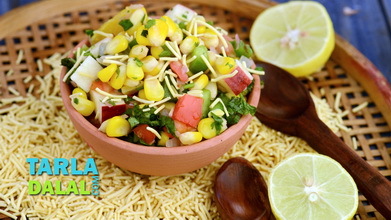 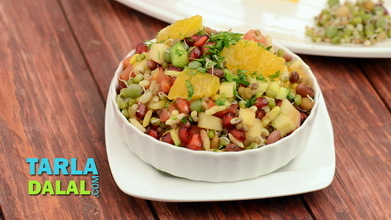 Toast the puffed rice to make bhel crisp before using it to make bhel. 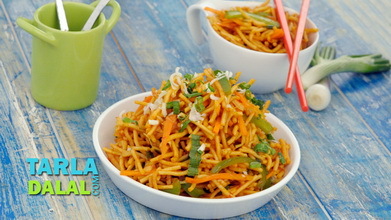 If you store the puffed rice, sev and papadi and refrigerate or freeze the chutneys, you can rustle up a heavy snack in a jiffy for your hungry kids returning from school. 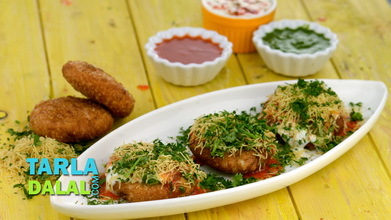 Divide the mixture into 4 equal portions and garnish each portion with sev, papdis, masala dal, raw mango, coriander and 1 papdi. 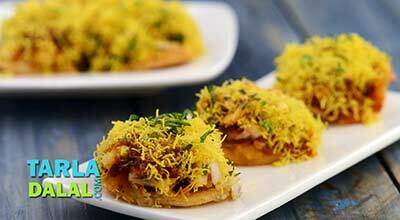 Nylon sev is a very thin variety of deep fried besan sev used as a topping for chaats. 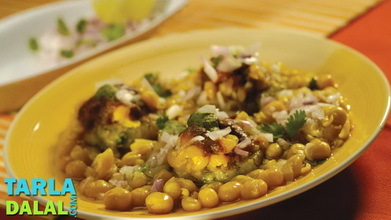 It is readily available at most provision stores.